Come out and support the Palestinian hunger strikers at the SPSC Edinburgh weekly stall this Saturday 13th April. We’ll be at the corner of Castle St and Princes St at 2.00 until 4.00pm outside HSBC bank. 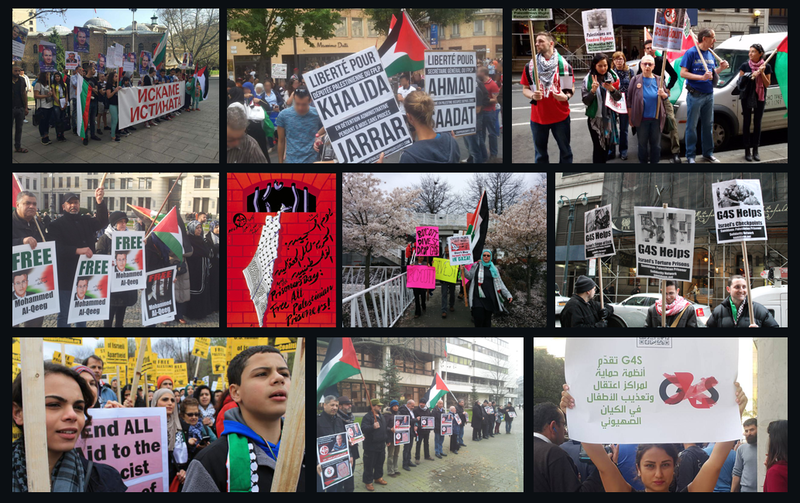 Bring your banners, flags and placards and show your solidarity with the Palestinian political prisoners and protest against their incarceration and deplorable treatment in Israeli jails. We will also be collecting signatures for our Time to Divest campaign. After recent successes in Falkirk and Tayside we want the Lothian Pension Fund (LPF) to stop investing in the Israeli Bank Hapoalim.